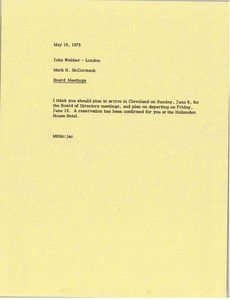 Requesting Webber be in Cleveland for a portion of the Board Meetings. 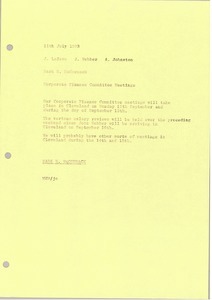 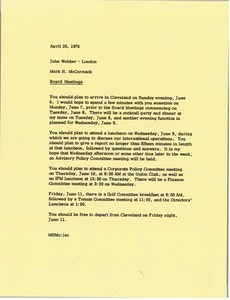 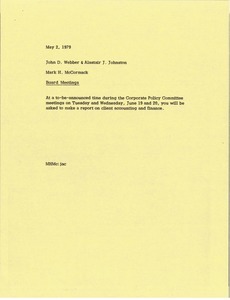 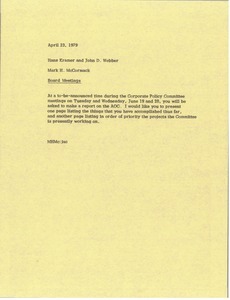 McCormack notes several functions and specifically asks Webber to discuss international operations, and attend Advisory Policy, Corporate Policy, Finance, and Golf committee meetings. 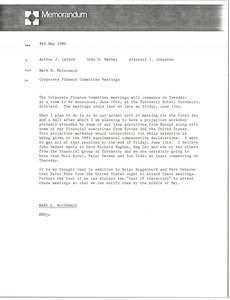 McCormack asks Rosenthal, Webber, and Schoenberg to give a report on FAI at the upcoming Corporate Policy Committee meetings. 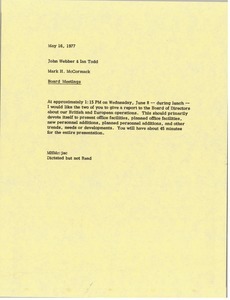 He asks Rosenthal to discuss fashion licensing and merchandising for Wimbledon, the British Open, and the U.S. Open. 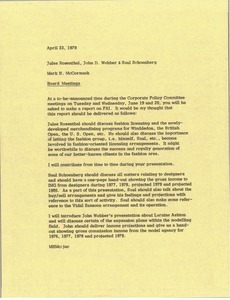 Schoenberg should discuss matters relating to designers, and Webber will give a presentation about Laraine Aston. 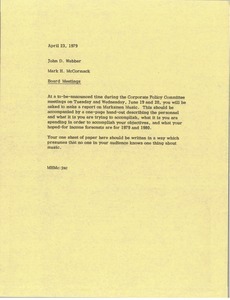 McCormack asks Kramer and Webber to make a report on the Administrative Operational Committee at the Corporate Policy Committee meeting. 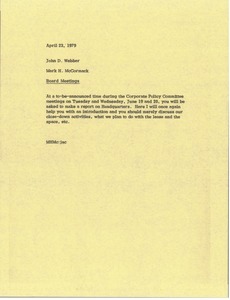 McCormack asks Webber to give a report on Headquarters at the upcoming Corporate Policy Committee meetings.